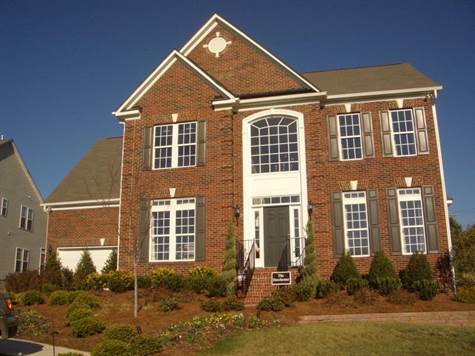 Brandon Oaks, Indian Trail - Former Model home! HUGE kitchen w Gourmet Island, Double Oven, & Cooktop. Dining Rom w. Tray Ceiling, Great Room with Coffered Ceiling, Study with Built-in Cabinets. Butler Station! Owner's suite with Tray Ceiling and Sitting Area, Luxury Bath with his/her Closet, separate Vanity, Garden Tub & Shower. Designer Paint and Wallpaper. Oversized Bonus Room. Surround Sound, Intercom, and Window Treatments. Washer, Dryer & Fridge can remain. Private Front and Rear. In walking distance to Shopping and Restaurants! Low Union County Taxes and great Schools! The Brandon Oaks Community has tons of Amenities, Tennis Court, two Pools, Fishing Pond and Walking Trails. Listing Agent is Owner. Originally paid $390,000 in 2007!! !